hey just read the github wiki man. the concept ideas are sounding good, the cultivation of thistle and agave sound complicated and somewhat time precise. Thank you for the feedback. Regarding the heat source, when I brew IRL, I use a propane stand. I have been thinking of bringing that to the mod. With the stand you could turn it on or off and the fuel could be a variety of burnables. 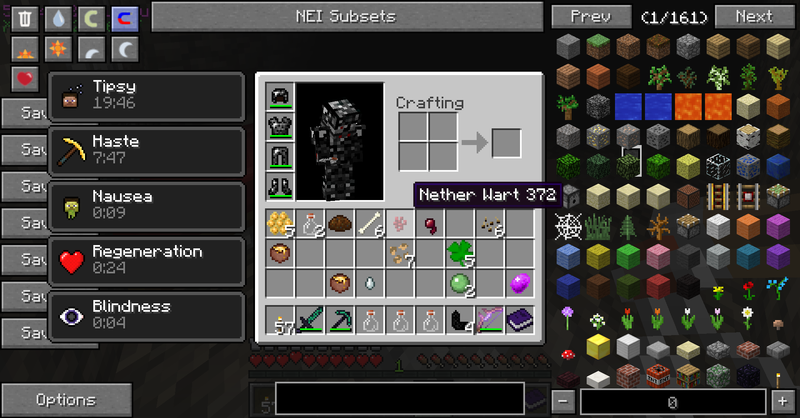 I would appreciate it if you could also make the kettle accept heat source blocks from other mods, especially Thaumcraft nitor. Is there a more "historical" equivalent? Or perhaps it could be something based on Netherack? It's already done to be precise, and IceDragon made it configurable, it seems really nice. It will be available in the next update. You got a point. The idea of the heating source is definitely something we can use. And the preparation of the cheeses will be something discussed later. As presented, the dairy module is still a concept and we hope to bring it to you guys the best we can. But we've got some other modules, bug fixes and compatibility issues to deal with. And as a CE Project, we really like the ideas brought by everyone and the feedback is being amazing. So keep'em coming and wait for the updates. I am having some problems with growthcraft. I have encountered a bug that is, for reasons unknown to me, causing growthcraft to consume my buckets when I perform certain operations, like making buckets of mead in the crafting table, brewing anything, and rewatering rice patties. I have found a work around for the brewing part, by using thermal expansion's fluid delivery system, but making mead and cultivating rice are still VERY broken. This is quite annoying as it makes the production of mead and sake EXTREMELY expensive. I hope that there is someone here who can help me to resolve this issue. We have some plans to work on until 2.4.x release, so I'm not sure when, but should be out before Christmas. I'll contact the guys about it, and as soon as I get a solution for it you'll know. We'll see how it goes, but good call. Demand can be good ... We have a couple of major items we'd like to work in before the next release. Expect a pre Christmas release. Question: Is there a convenient changelog that lists all of the current changes in your releases? I know that there arn't many, but you could include your "release" as an update, then go on from there. I ask, (because I'm lazy, and so are thousands of others) beause I don't want to have to dig through the pages to find out the answere to my question, and I don't want to get yelled at "just look back a few pages" for asking it either, and a changelog is a bit more hand, especially if someone wants a certain version, rather than the most recent one, even if its outdated.